Though it has only just begun its formalization, diversity and inclusion at Blizzard has been around for a long time. You don't often hear people talking positively about working themselves out of a job. But that's exactly what one of Blizzard's leaders of diversity and inclusion (D&I for short) is angling to do. Kelly Stevens is adamant that she doesn't want her work to last forever, though she acknowledges that diversity is "a marathon, not a sprint." Stevens' D&I legacy stretches almost a decade, though this is the first time that she's worked in the game industry. The closest she's come to games and tech before Blizzard was a 11-year stint at Best Buy, analyzing their approach to D&I. Though not universal across Blizzard just yet, the results have been really positive. "We're relatively new when you think about the span of diversity and inclusion on our journey," Stevens said, grinning. "But my goal, ultimately, is to work myself out of a job because that means that diversity and inclusion is interwoven in everything that we do as an organization. So when we get to that place, I'll call you up and we can go have a drink." Stevens' interest in joining the D&I team at Blizzard wasn't necessarily about wanting to work in the game industry, mind you. (She's been all over the place.) Instead, it was the Blizzard magic that drew Stevens into Blizzard's work with D&I -- that je ne sais quois that is equal parts intangible and palpable, depending on where you are and what you're doing. "There is a magic when you walk on campus," Stevens noted. "I've worked at some fun places in my past, and there is something incredibly special about the people [here]. People come to work every day not because they have to. People come to work because they want to. And it is easy, in my short time that I've been here, to see that that is what makes Blizzard so special, is people are so ... they geek out. We all geek out about the product that we put out and the community. I think that the community also energizes the work that we do. At BlizzCon, we get to interact with our fans and our community, and that drives the work that we do." Even when announcements hit a false note, Blizzard's corporate culture has always appeared to be, at least from the outside, constantly evolving. 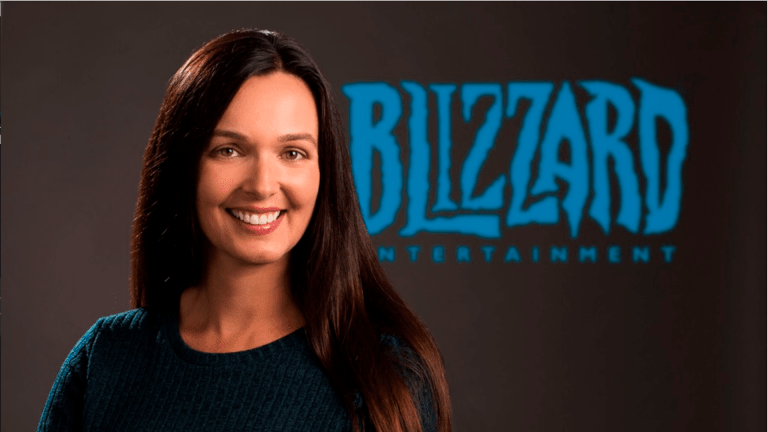 Saralyn Smith, BlizzCon's executive producer, sees BlizzCon as the manifestation of Blizzard's culture, which has changed in a number of ways over the years. "BlizzCon is really a physical manifestation of Blizzard," Smith said. "As Blizzard has increasingly wanted to prioritize this focus, we've been doing the same at BlizzCon. Part of that is through the online audience. We don't want this to be limited to just people that have the means or the ability to fly to Anaheim or drive to Anaheim. "Our esports content opening ceremony is free, so accessibility there and inclusion there has to do with language, first and foremost. So we have closed caption, and this year, we invested in seven languages that we're localizing in with live audio dubbing, which we've learned from the community was preferred. We'll hear their feedback this year, as well. But that's been a big area for us. We base a lot of this on feedback. We want to hear from the community and what they want." In terms of facilities management directly onsite at BlizzCon, Smith reminded me that they've always had sign language interpreters that help the staff to communicate with attendees. 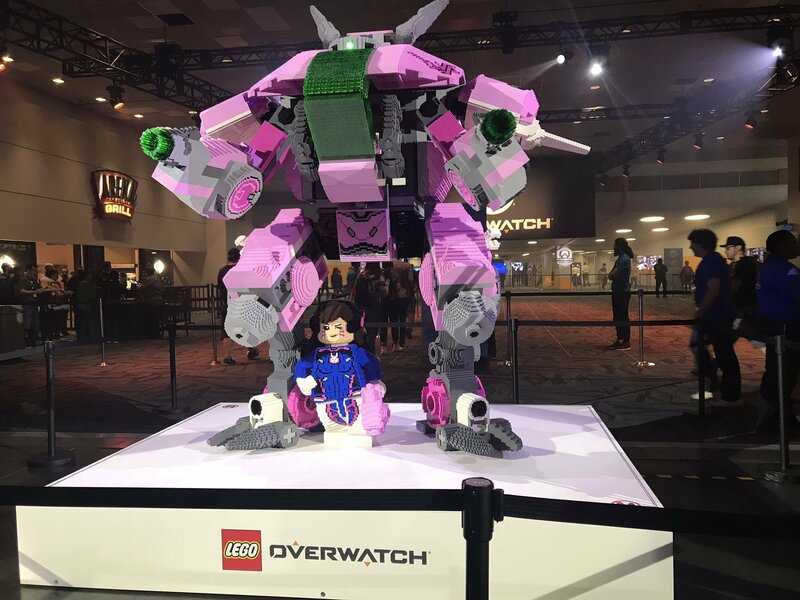 "We try to have a lot of facilities and, like, a VIP experience in certain areas for anyone with ADA stickers, making sure they have access into the halls, into the panels that they'd like to participate in, into the demo lines, to give them an easier experience throughout the show." "This year we're really excited," Stevens exclaimed. "We have gender-neutral bathrooms." Blizzard's commitment to that level of inclusivity -- through the Virtual Ticket (which costs $49, as opposed to the hundreds of dollars it would cost to attend in person), the attention to accessibility for attendees with limited mobility, and the advent of the Inclusion Nexus -- is not something that we've seen a lot of, especially with regards to video game conventions. PAX, Penny Arcade's long-standing convention, certainly has come a long way and added a Diversity Lounge. But even with the con's evolution, PAX has a sordid past with D&I. Neither Blizzard nor BlizzCon have those deep, dark stains that they're trying to scrub away. It isn't to say that the work is done, either. (Otherwise Stevens would have left and there'd be beer to celebrate.) Not everyone is walking the talk at Blizzard, at least not yet. Overwatch's approach to diversity has been lauded by many (including yours truly) and it's been panned by others (sometimes by those critical of the D&I missteps along the way, other times balking against the diversity in general). There have been some notable issues with Overwatch's D&I, including Lucio, Symmetra, and now, Ashe. During a separate conversation with an Overwatch producer, I asked the question that Overwatch fans had been shouting on Twitter for the better part of 24 hours: "Why is there still no black woman in Overwatch?" Well, the answer wasn't particularly useful. In fact, it was downright flippant. It was a shocking contrast to the ways in which I'd talked to Stevens, Smith, and even Allen Adham. But it wasn't surprising. The marathon metaphor came to mind as the answer tumbled from the producer's mouth, seemingly without much thought. But even as I consider the problem areas, especially in Blizzard's hero shooter (even though I readily admit that Overwatch's approach to diversity has almost always made me smile), it's important to remember that change isn't universal and it certainly doesn't suddenly exist. It takes time to not only explain the importance of D&I in all aspects of the work that we do -- as game workers, as writers, as humans -- and it takes effort to enact the internal change that begets external evolution. "Diversity is about celebrating everybody as individuals," Stevens elaborated. 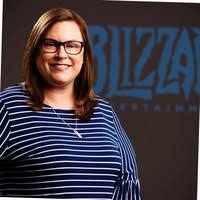 "It's about the uniqueness that we all bring to the table, and I just feel like there is so much diversity in the people that work with us at Blizzard, but it's celebrated. We celebrate the uniqueness...that people bring to the table." D&I at Blizzard is still relatively new, too. Even though Mike Morhaime, Blizzard's beloved former president and CEO, has always led with compassion and kindness, corporate diversity wasn't necessarily formalized until Stevens joined the company about 8 months ago. "When you have someone who is so committed to the people that work at the organization and the people that are in our communities, it's easy to follow that along," Stevens said brightly. "We're relatively new in the journey. There's not an industry that I've worked in where they're perfect at diversity and inclusion. I think we all, everywhere, have a ways to go to be inclusive. I would say that, unlike other organizations that I've experienced, from a personal perspective, I have felt very included at Blizzard. When people find out who I am, they instantly have to tell me their story, and it's one of my favorite things about working here, is hearing people's stories. They just want to share that from the rooftops. They want to be excited." According to Smith, a lot of the D&I changes have been organic and led by employees, not necessarily spearheaded by management. "When I came in, there were a lot of organic things happening within the employee base, like the LGBTQ group," Stevens noted. "And then maybe over two and a half years ago, we formed a women's advisory council that I am happy to be on. That's also where I met Kelly for the first time. "So it feels like it's becoming more formalized. And that feels great. It's more top of mind. We're making more intentionality around it now. We're making it more clear and pervasive. That's what I think it is -- you just want it to be interwoven into all aspects of doing business." Part of what makes D&I sticky is about how the teams approach it from the inside-out. So much of gaming (and high-tech in general) is about keeping trade secrets, well, secret. It's not the same thing with diversity and inclusion, which Stevens explained to me as we talked about the messy business at Riot. The ultimate marker of success with D&I is when every organization has the tools it needs in order to make sure that everyone has a voice. "When you find something that works from a diversity and inclusion perspective, you want to sing it from the rooftops because it's not about, ‘We're doing this differently or they're doing this better than us,’" Stevens explained. "It's about, ‘How do you share those wins and those best practices?’ Because when everybody wins in diversity, that's the magic, right? That's when the world wins. That's when you're truly inclusive." "And I think it makes our games better," Smith added. "I mean, to have the perspective from all the different markets. There's a very rich world out there. Now, with a lot of technology, the world is smaller than ever. So thinking of having the perspective of all of these diverse marketplaces being informed into your product just makes your product better, your marketing better, your cinematics better. It makes you stronger." In the same vein, ensuring that there's a solid (and anonymous, if necessary) reporting system for dealing with problematic coworkers and management is paramount in creating a safe, inclusive environment for everyone, not just those who are comfortable with speaking up at all times. Blizzard uses a combination of reporting avenues, thankfully. "First of all, anybody that experiences anything we don't want to have happen, so if there is such a thing that occurs, we want to make sure that there's a lot of outlets for people," Stevens said. "So we encourage folks to talk with their manager, we encourage folks-"
"Any manager, yes. Thank you." "Yeah, and their managers," Smith continued. "Yeah, any manager, any HR person, really any people leader," Stevens added. "Our advisory councils are a wonderful way for people to feel confident in who they're talking to to either get advice or to address a potential concern." They also have an anonymous phone line that employees can call to talk about their grievances without it being a face-to-face conversation with someone in a leadership position at Blizzard. This helps folks air concerns without their face (or their name) being attached to said concern. "We feel like this is really important to us, as an organization, and we just want to make sure that everybody feels safe and comfortable," Stevens said. "And one way to be able to do that is to tell your story. And that's both from a, ‘Is there an opportunity?’ [perspective] but also from a, ‘What are we doing really well?’ [perspective]. 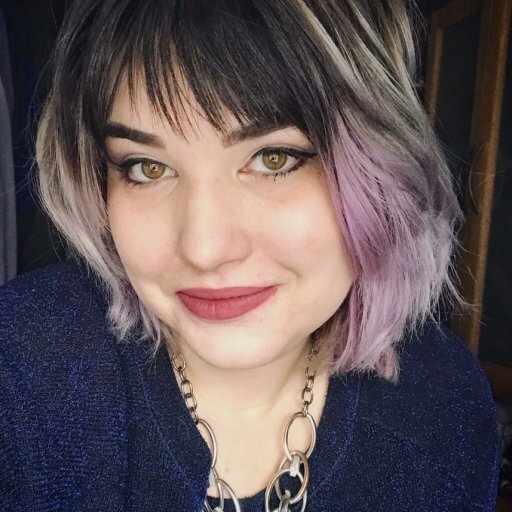 We're really open to feedback, and I think sharing your story is one of the coolest ways that we can celebrate people, because we all have a story to share." In today's divisive political climate, where there are people who will angle to make your life miserable just for taking a stand against harmful, toxic behavior, D&I efforts can sometimes feel like they're actively being squelched or subverted. But for Stevens and Smith, Blizzard has insulated them from a lot of that vitriol. "I'm trying to think if it has made it harder for me," Smith said thoughtfully. "You know, there's always going to be someone that disagrees with the work that I do from a D&I perspective," Stevens remarked. "I can do my best work, and I'm still ... there's going to be someone that's unhappy with the work I do. So I think it's just really important that I don't ever go into a company and try and change who someone is. I never change what their values are. My job is to really help educate that there are other viewpoints than their own and that we, as an organization, need to be inclusive. As an organization, as a country, as a person, we need to be open to the fact that there are other viewpoints. "So for me, I don't know that the political climate has changed the work that I do, other than really making sure that everybody has a voice. I think, to me, that's what's super important. As long as we're all respectful in the way that we carry ourselves, I think that's the key. We can all view something totally different and have a conversation about it as long as we're respectful about it. I guess that would be my thought process." 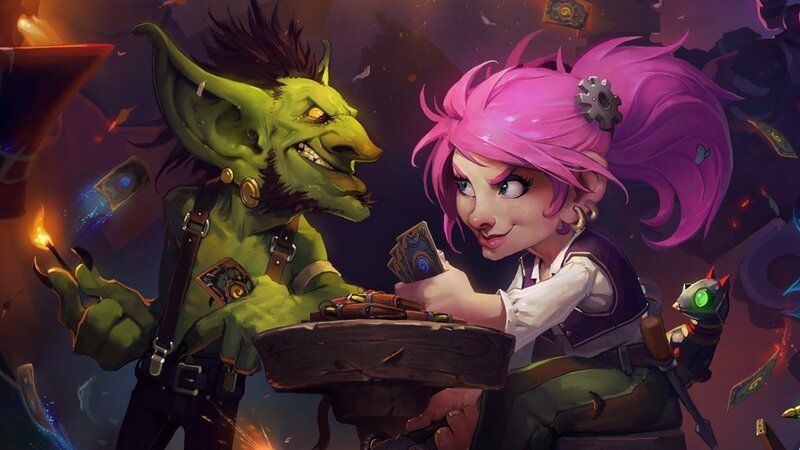 Smith added, "And I feel like Blizzard really is a values-driven company, and I mostly feel the presence of our culture versus the political climate in my day-to-day work." Blizzard's cultural overriding the effects of the political climate isn't surprising, given how tight-knit the working environment reportedly is. And, of course, there's an element of pride that runs through the work that they do, including D&I. "I'm super proud of the commitment that Saralyn and her team at BlizzCon have done," Stevens said. "It is the same sentiment at Blizzard as a whole. There's a push to say that diversity and inclusion is a top priority, so you'll see that through our Inclusion Nexus this year. We highlight our military veterans group, our LGBT+ advisory council, and our women's advisory council. We have awesome trivia games where people can earn really cool prizes. "And it's a space to help network people, to tell stories -- there's education that will take place. We have Lightning Talk speakers sharing their personal stories. We have a really awesome one that's going on right now that's talking about how game jams are important to inclusion." The diversity and inclusion marathon is being shared across the industry, from small indies to mid-tier companies and all the way up to the triple-A corporations like Microsoft, Blizzard, EA, and Ubisoft. When D&I is elevated beyond a mere project or isolated initiative, it permeates more than just one company's culture. And even though we all have a long way to go, any progress is good progress.